The power plants of human muscle cells are the dense populations of mitochondria—heart cells have 5,000 each. Heart cells never rest. There is always a dynamic process of metabolism of fuel and oxygen, as well as a release of waste, and it’s all based in redox re­actions from RSM created by mitochondria. Muscle Recovery–Muscle cells love to work! They rise to the challenge, replicate themselves, and recover from exercise under the direction of RSM, and they develop more mitochondria with more exercise. But even with healthy habits, we lose 10% of our mitochondrial density every decade after age 20. RSM supple­mentation helps correct the effects of this, promoting faster recovery and reducing cell injury. Bone Density and Healing–As the structural framework for our bodies, bones do their cellular work—including bring­ing calcium into the architecture—through redox reactions. 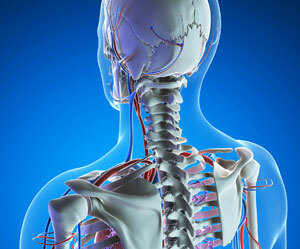 The bone density decline that comes with aging can accelerate with RSM imbalance. RSM balance along with proper mineral resources helps arrest this process. Healing of fractures is completely directed by REDOX signaling molecules and allows for the remodeling to near perfect morphol­ogy after a break. Aging–A youthful abundance of REDOX signaling molecules signals the body to create the vitality we seek as we age in life. Aging in balance is possible provided we manage our REDOX potential with necessary lifestyle changes. Athletic Performance–All of us, to varying degrees, are athletes as we face the challenges of our busy schedules. Thankfully, millions of times each second, muscle cells are creating and using vital RSM. Elite athletes who monitor their redox biochemistry have shown positive changes in metabolic outcomes with RSM supplementation.